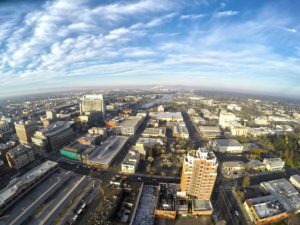 Cities like Stockton, Calif. are known as “O-zones” (opportunity zones) for investors. The Forbes article included below is quite long, but I recommend reading it. It’s a thought-provoking take on how close this group is to finalizing a new tax-avoidance law that may also help them invest in some of the poorest neighborhoods in America. The plan is to let the free market decide how the investors should invest their money and make changes within these neighborhoods, with the funding coming through tax breaks. If done correctly, this setup can be very profitable both for the investor and the neighborhoods. It would be fascinating to see the free market work its magic. It’s truly a systemic change. Instead of the government redistributing wealth and making a small (and sometimes negative) impact, savvy investors can lift communities out of poverty by bringing jobs, new housing, and new industries into destitute cities. Amazingly, there are very few limits on the types of investments that are allowed under this tax law, and even more stunning, the proceeds of these investments will be allowed to grow tax-free. This is an ambitious plan, and no one knows yet how it will turn out, but giving the investors a wide range of choices is the best way to go. Of course, there are some concerns, as addressed in the article. The biggest one being that people in those neighborhoods may be displaced or priced out, and the investments will be a burden rather than a benefit. Truthfully, I don’t see how that won’t happen, at least to some extent. But, much like the war on poverty, we just can’t solve everyone’s problems for them. There will always be people in need. However, this doesn’t mean we can’t help some of the people in these neighborhoods who need a little more support and luck on their side to get out of poverty and lead a better life. Maybe this will be something Hughes Private Capital can consider in the future for another fund. It looks like the opportunities could be endless. The genesis for the Opportunity Zone law traces to 2007, in the hills of western Tanzania, where Parker, after his famous Facebook exit, was checking out the UN’s work on malaria prevention and economic development. The poverty was striking, and he saw little hope that the region would ever attract the kind of private investment that could deliver progress. Back home, he noticed similar problems in rundown areas around D.C. and San Francisco. At the same time, he was holding a Facebook stake heading into the billions, with many startup peers minting multimillions in equity as the social media boom took hold. Where Opportunity Zones go, opportunists will follow. The law’s rich tax perks will lure many players more interested in the program’s tax benefits than its societal ones. The broad and flexible nature that gives the plan its power also leaves ample room for abuse, loopholes and unintended consequences. With billions in for-profit capital likely to flow into poor communities, there’s a chance that the very people the program is intended to lift up could instead get pushed out. Nearly everyone Forbes interviewed for the story agreed that gentrification is a real risk. For Booker, it started with governors choosing Opportunity Zones that show no sign of current gentrification. He says leaders must ensure that a large portion of locals are hired to build and service new projects and that towns adopt and enforce zoning and affordable-housing laws as new capital flows into the community.